Claremont, Calif. (June 6, 2013) — Pitzer College announces the appointment of Brian A. Carlisle as the College’s new vice president for student affairs. Carlisle will take the post on July 22. 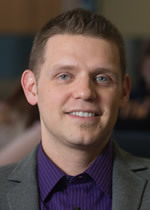 A nationally respected student advocate, Carlisle comes to Pitzer from the University of Wisconsin, Eau Claire, where he has served as the dean of students since 2010. At Eau Claire, he was responsible for counseling, student health, student organizations, student legal services, international student programs, the Women’s and LGBT Resource Center, and the Center for the Awareness of Sexual Assault. During his tenure, Carlisle secured funds for the Center for the Awareness of Sexual Assault and created a Dean’s Emergency Fund. Carlisle was previously the associate vice president of student affairs and dean of students at the San Francisco Art Institute where he supervised student life, counseling, career resources, international student affairs, student government, disability services, judicial affairs, and residential life. Carlisle led the development of his division’s first strategic plan, expanded and further professionalized the programs and services offered through the student affairs division, and negotiated contracts for a new residence hall. Carlisle has also served as associate dean of students at the University of California, Los Angeles and in the student affairs division at Saint Louis University. Carlisle received his bachelor’s and master’s degrees from The University of Alabama in Tuscaloosa and earned a juris doctor from Southwestern University School of Law in Los Angeles. He also served as a mathematics professor in Alabama. Brian Carlisle succeeds Jim Marchant, who has served as Pitzer’s vice president for student affairs for more than ten years. The College announced in February that Marchant will transition into his new role as the executive director of development and special projects for Pitzer’s Office of College Advancement this summer.